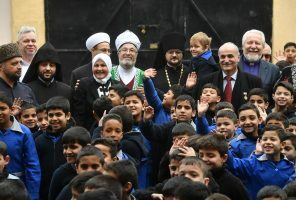 Syria’s Christian minorities are facing increasing dangers, especially in the city of Aleppo. 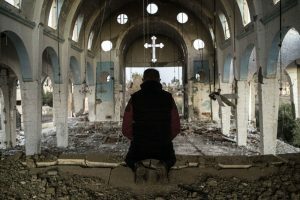 The country’s estimated 1.5 million Christians are being targeted for attack and blamed for assisting a brutal regime. 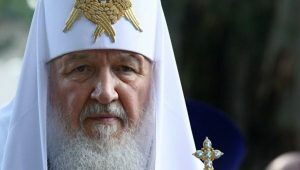 Mar Gregorios Yohana Ibrahim, the Archbishop of Aleppo tells host Aaron Schachter about the competing pressures Orthodox Christians face as they try to position themselves politically for a future when President Bashar al-Assad is no longer in power. Aaron Schachter: As we’ve just heard, minorities in Syria have been especially fearful of what happens when Assad goes. 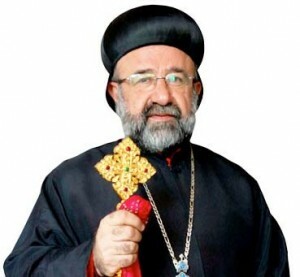 Mar Gregorios is a Christian Orthodox Archbishop of Aleppo. He left the city a few days ago, but he says getting out wasn’t easy. Mar Gregorios: When you go the airport, for example, you can see many cars ruined and burned and this is something which is frightening everybody that the city that it is an empty city. Aleppo is passing in a very, very sad and complicated situation. Schachter: Now, there is talk of there being a civil war in Syria, sectarian violence, Sunni, Shia, and Christians at each other. Do you think that is that is the case now? And are you especially worried for Syria’s one and half million Christians? Gregorios: Well, of course I am. I am worried, but I think that until now the Christians refuse to be part of this sectarian war and we refused also to receive guns and we said that we don’t need anything. If we need something it’s the humanitarian aid, but, you know, among the soldiers we have some Christians and we cannot tell them that, you don’t have to fight. Schachter: Do you think that Christians are being especially targeted these days? Gregorios: We have people who were killed, yes, from our community and other communities, somewhere soldiers, and somewhere kidnaps also. Some people paid money and some people were killed by the kidnappers, but we don’t know yet the identity of the kidnappers. Schachter: Christians have historically been supportive of the Assad regime and I wonder if your impression of the regime has changed? Gregorios: I think, to be frank with you, the language has been changed. We avoid to speak as it was before to speak for the regime or for the President. This doesn’t mean that we are taking part in an opposition side. So I think this is the right time for us to say the truth, that we are with the country. It’s very important to think about coexistence for our both religions because otherwise people will be fanatic and be against the Muslims and they will be against us and feel that we are destroying our country. Schachter: Are you afraid for the future? I mean in the United States we talk about the Assad regime having to go, but we don’t talk much about what comes next. Gregorios: This is a problem, that they are talking about the change of the President, but they don’t tell us who is coming to rule this country. Anything could happen [sounds like], and today in Libya, for example, the fanatics will come and control the country. We need to hear that nothing will happen to the Christians in Syria. Schachter: Mar Gregorios is the Archbishop of Aleppo, Syria. He’s currently in Stuttgart, Germany. We reached him on the phone. Thank you, sir, so much. Gregorios: Thank you very much.